Millton has focused solely on traditional cultivation and production since day one, centred on biodynamic principles and a love of experimentation. Millton was the country’s first producer to gain Bio-Gro certification for organic wine production and then the biodynamic Demeter certification. As James so eloquently puts it, “You may think you’re standing on dirt, but it’s really the rooftop of another Kingdom! Millton’s stunning Clos de Ste. Anne wines are crafted from small volumes of ultra-premium grapes grown on the amphitheatre-like slopes of the vineyard bearing the same name. Further down the hillside are its plantings for the Millton Single Vineyard Estate wines. Family owned and operated to this day Milton’s wines travel to all four corners of the globe enjoyed by those who seek honesty in their glass. 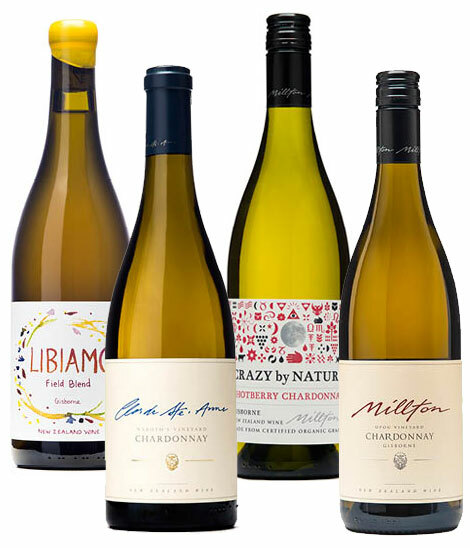 Operating under the motto “for a wine to be great it must first be true” Millton has continued to produce some of the finest examples of many varietals grown across New Zealand.